View cart “IFSTA Principles of Vehicle Extrication 3rd Edition Online Test” has been added to your cart. 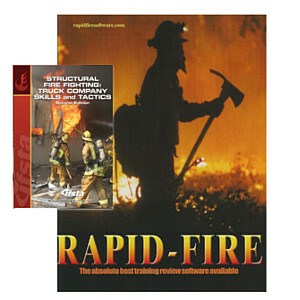 A comprehensive study software package based on Jones and Bartlett’s Fire Department Incident Safety Officer 3rd Edition. Why Do You Need Fire Department Incident Safety Officer Study Helper Version 3.0 From Knightlite? During a promotional test, firefighters are faced with long lists of books they must study to prepare for their exams. When you first look at the text, Fire Department Incident Safety Officer, you say to yourself, “Thats not so bad, I really only have to study about 260 pages.” Many books can be 500 to 800 pages. Its not until you start reading the book that you realize that David W. Dodson has packed so much information into this book, that it will indeed be a challenge to try to remember everything contained in this text. Once you read it, what do you do then? Its only one book on a long list of other books for your promotional test. How are you going to know that you’ll be ready for the test? How confident will you be that you’ve mastered the information in this book? That’s where we come in. Knightlite Software is designed to test your knowledge, pinpoint your weaknesses and build your confidence. The book gives you the important foundation knowledge. Our software will help you retain that knowledge, reduces your stress, and fosters the confidence you will need to excel on your promotional exam. The software keeps track of questions you answer incorrectly so you can go back and study just those questions you are a little weak in, without wasting time concentrating on material you have already mastered. Lots of great features to allow you to study in a way that is most effective for you. Easy-to-use and affordable. Your career is too important to settle for second best. Invest a little in your future and reap the benefits of all your hard work. Knightlite has helped thousands of firefighters become promoted since 1996. This is not the actual book. 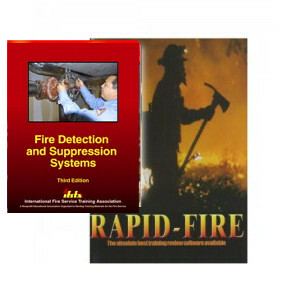 This is downloadable software that is based on the Fire Department Incident Safety Officer Third Edition manual.